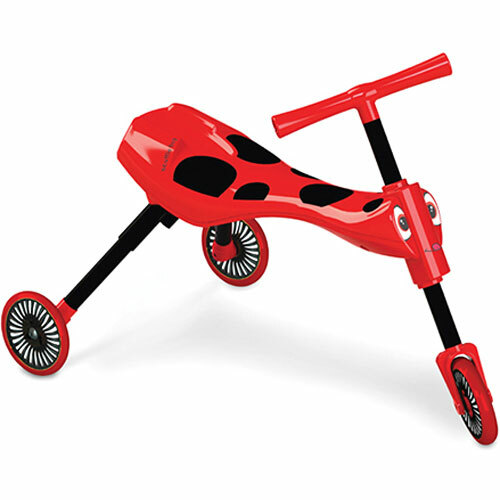 The cutest, smartest little marvel – just like the child that rides it! Toddlers with their feet on the ground love to push themselves along, developing motor skills, balance and coordination, with a stable, smooth ride every time. Grippy handles and a roomy seat, too. It’s lightweight, safe, quiet, and indoor friendly! Adults love that it folds easily for trips to the park or grandma’s house. From Schylling Toys, for ages 1-3 yrs.